If I am completely honest, feeling confident with make-up on just isn't enough for me anymore. I have always felt shy and self-conscious without wearing foundation and after having heart surgery in 2014, my shyness also spread to my chest area as well. I love the idea of skipping any face make-up for the day but I really struggle with this. 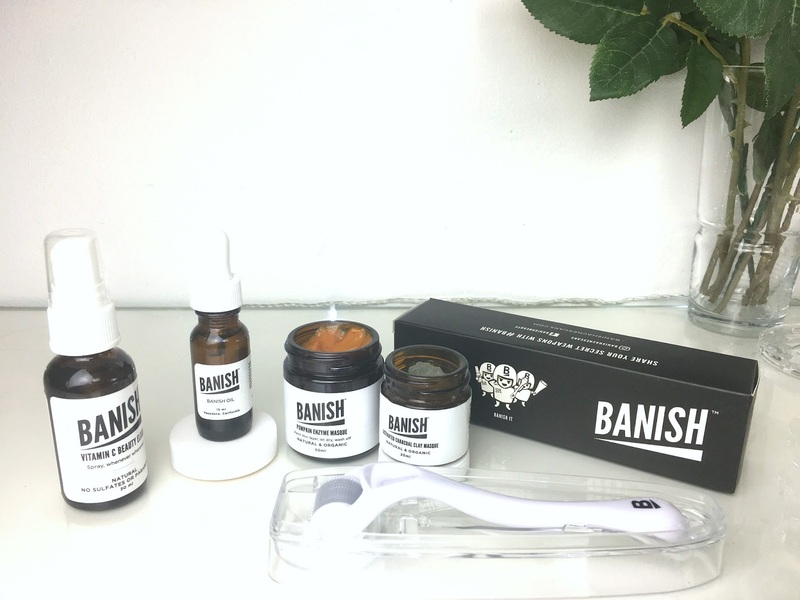 When Banish* contacted me, I took the time to research the brand first to see whether they would meet my skin needs and whether I believed in their brand mission. They certainly ticked all of my boxes and it was amazing to see the Instagram videos of people from all over the world using their products to improve their skin. My routine begins with removing all of my make-up and then I reach for my spare foundation brush, a bowl of warm water and a clean flannel. The first product I used was the Pumpkin Enzyme Masque, it smells incredibly fresh and the formula is lovely and thick! 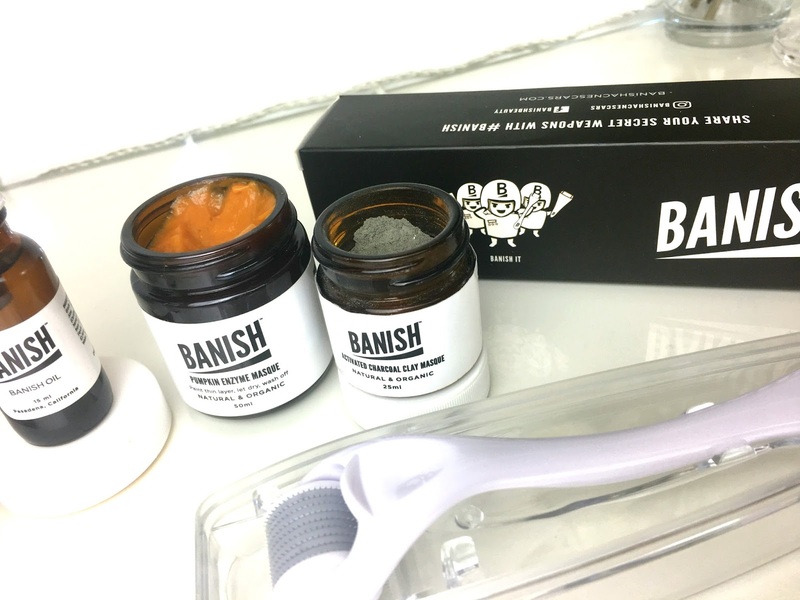 I began applying the masque to my skin and I left it on for about 20 minutes, I wanted to make sure it really sunk into my pores and I was also able to set up the next step for the Banish routine. I gently removed the product with warm water and then cleaned the flannel, I then reached for the Activated Charcoal Clay Masque. This actually helps remove dirt and oil from your pores, reducing the size and keeping them clean, which is quite funny because the masque is very dark and not what you would expect for a face masque! I loved applying it before I got into bed and also in the morning the next day. I found the product was really fun to play around with too! I was really shocked at the amount of product, it really will last you months!